Terry's turn for a crocheted item. 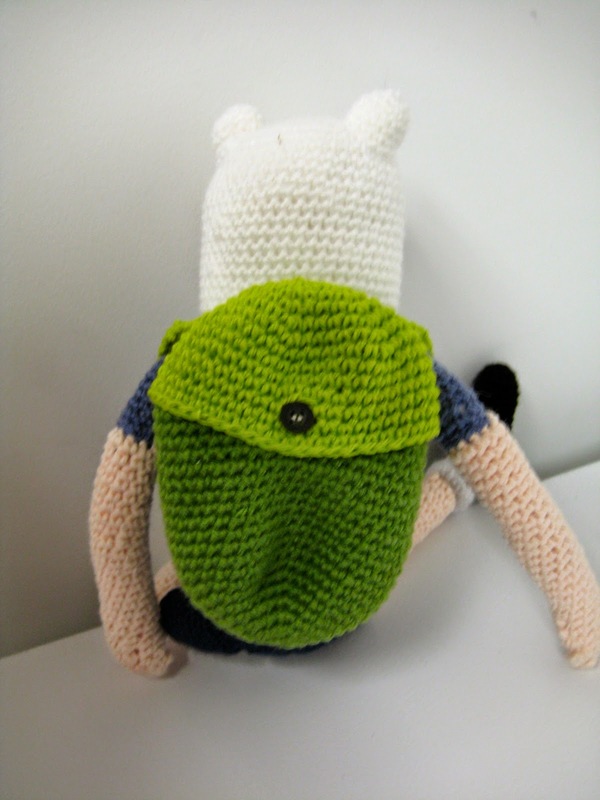 He chose Finn from Adventure Time. 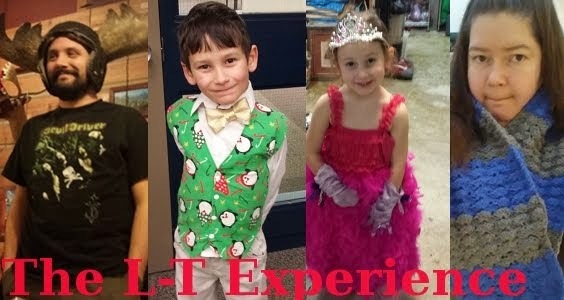 Both him and the kids are obsessed with that show, so it was no surprise. 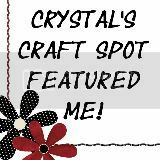 I found a really terrific pattern on Ravelry and set to work. 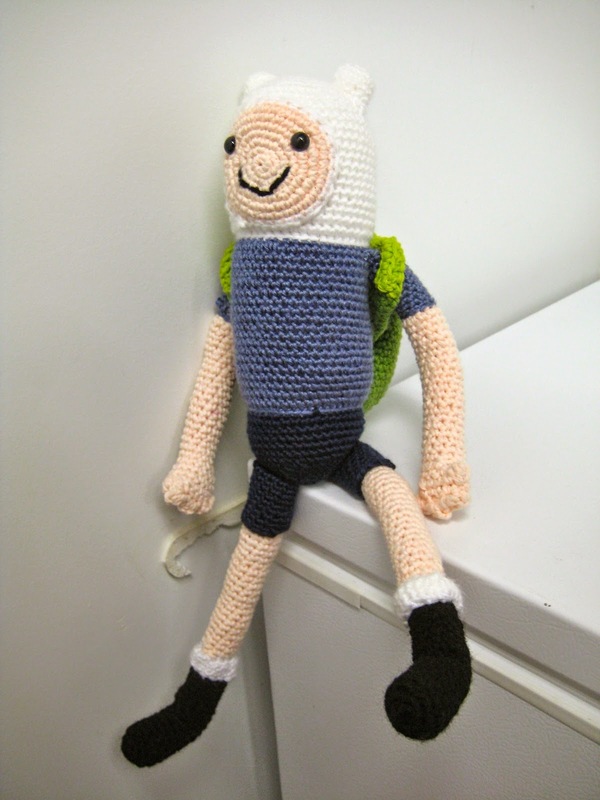 I gotta say, this Finn took a long time to make in comparison to my other amigurumi characters. Probably because every single kid in the world seems to be celebrating a birthday about now and has invited one of my kids to the party. Oy! I've been distracted by making birthday presents instead of making Finn. Anyhoo.... he did get done. And he's fabulous. The backpack he's carrying can actually open and close and you can put stuff in there. Candy? Tiny books? The possibilities are endless. He actually turned out a good size as well. I'm very happy with all the little details such as the roll on the top of the sock and the tiny button that closes the backpack. So cute! I think Terry is happy with his new little buddy as well.